Chris wanted to see "more pics of vintage signs." 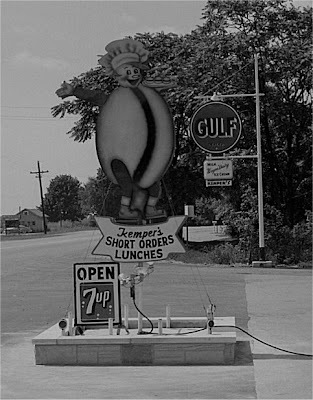 This sign was/is located in New Westville, Ohio. If anyone knows if the "Hamburger Man" had a name, let me know! The photo is from the 1950's. Does anyone know what kind of car this is? Unfortunately, damage to the negative makes the name on the radiator illegible. 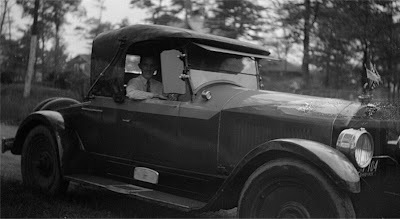 The license plate appears to read Ohio 1926. Even in 1850, people still had to pay taxes! 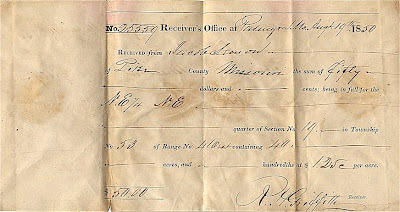 This very interesting document shows that Jacob S____ of Pike County, Missouri paid $50 in property tax on August 19, 1850. R.H. Griffith collected the money at the Receiver's Office located in Palmyra, Missouri. Does anyone know what kind of airplane this is? 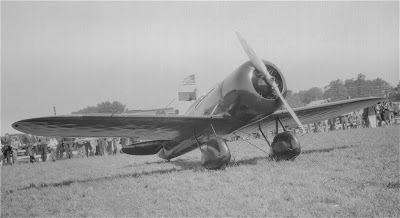 The photo is from approximately 1925. Thanks to Jeff for identifying the airplane as the Travel Air “Mystery Ship.” If you would like to learn more about this very famous airplane, please click here. Does anyone know where this pizzeria is/was located? 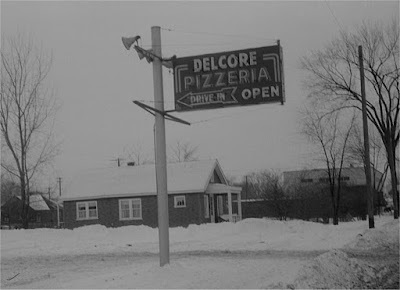 Delcore seems to be very uncommon last name. A little over 100 people have that surname nation wide. The photo is from the 1950's. Thanks to Kurt McCrary for solving an almost decade old mystery! 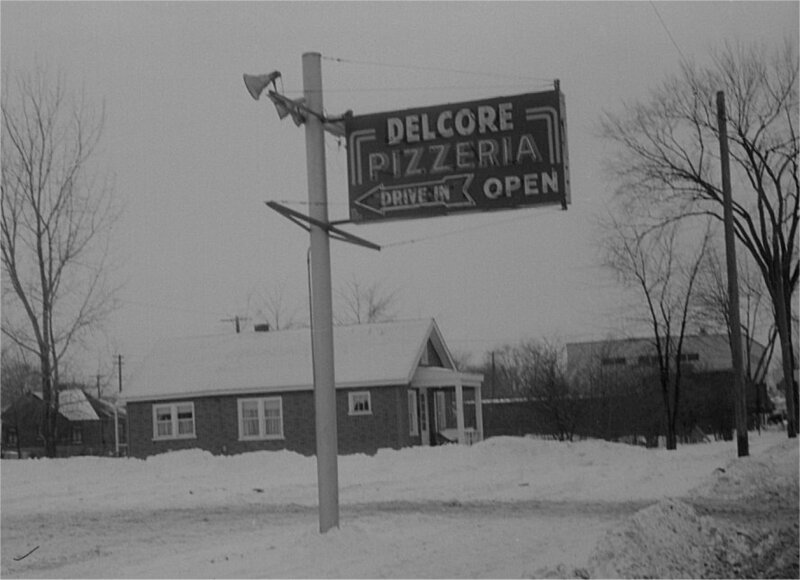 Delcore Pizzeria was located at 14661 Fenkell in Detroit, Michigan. The pizzeria started in the early 1950’s and by 1959 was known as Leone’s Pizzeria. Later the building became a branch of Manufacturers National Bank. The building still stands but now appears to be a strip mall.